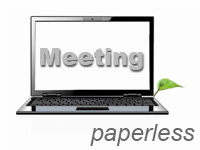 The meeting of the Expanded Bureau of the Conference of the Parties to the Basel Convention will be paperless. Printed documents will not be available at the meeting. Pre-session documents will be made available on the Convention website. Your cooperation in heeding these suggestions is greatly appreciated and will ensure the smooth running of the meeting.